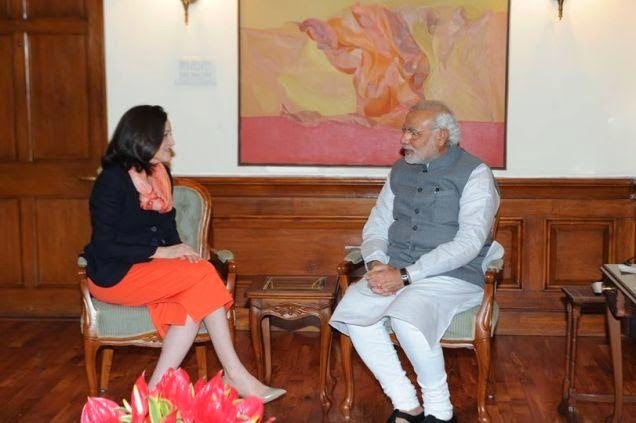 1) Facebook COO Sheryl Sandberg meets PM Modi: Facebook COO Sheryl Sandberg met Prime Minister Narendra Modi on 03 July 2014 and discussed ways in which the social networking platform can be used to connect the Government with people. "Had a very fruitful meeting with Sheryl Sandberg. She pointed out that India is a very important country for Facebook, considering the high number of active Facebook users in India," Modi wrote in a Facebook post after the meeting. "Being an avid user of social media myself, I talked about ways through which a platform such as Facebook can be used for governance and better interaction between the people and governments. I also talked about how Facebook can be used to bring more tourists to India." he said. 2) Indian 'semi-bullet train' sets new national speed record: An Indian passenger train set a new national speed record of 160 kilometres an hour (100 miles an hour) on 03 July 2014 during a test between the capital and Agra. 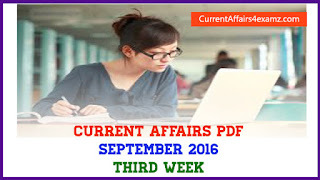 The introduction of high-speed links and bullet trains were one of the key poll campaign promises of Prime Minister Narendra Modi, who won elections in May. This test, part of the government's plans to upgrade the ageing rail network, saw the train complete the 200 kilometres between New Delhi and Agra in around 90 minutes. The top speed clocked at 10 kilometres more than the previous record. 3) Sardar Singh to lead India in Commonwealth Games: There were few surprises as Hockey India (HI) selected a 16-member side, led by Sardar Singh, for the 2014 Commonwealth Games that would be held in Glasgow, July 23-Aug 3. Most the players of the squad, that finished ninth in the Hockey World Cup, barring goalkeeper Harjot Singh, midfielders S.K Uthappa, Jasjit Singh and forward Mandeep Singh. The two new players in the Commonwealth Games side are midfielder Danish Mujtaba and forward Gurwinder Singh Chandi. While Sardar will be leading the side Sreejesh will be his deputy. 4) Michelle Howard becomes US Navy's first female four-star admiral: The U.S. Navy has promoted Vice Adm. Michelle Howard to admiral, making her the first female four-star officer in the Navy's 236-year-history, the White House said. Howard, who was the first African-American woman to command a Navy ship, will become vice chief of naval operations, according to her online Navy biography. 5) Swamy Goud elected Telangana Council chairman: TRS member K. Swamy Goud has been elected chairman of the 40-member Telangana Legislative Council after the Congress withdrew its candidate Farooq Hussain. The Congress and four members of Telugu Desam walked out of the meeting specially convened for the election. Mr. Goud polled 21 votes against zero votes polled by Mr Hussain.